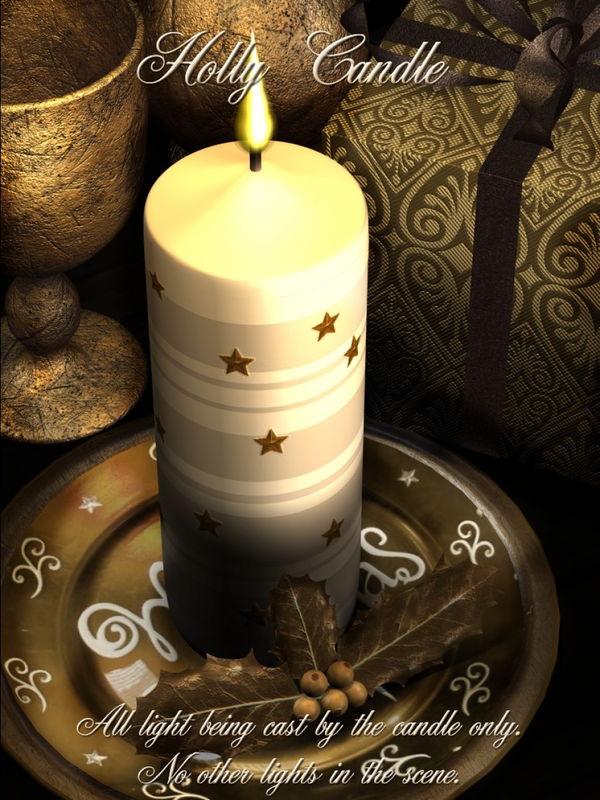 This year we are proud to present the Holly Candle for all your festive themed renders. This endearing self-illuminating candle comes with a selection of MAT poses to enable you to mix and match whichever Christmas colours you like. This candle casts it's own light, so darken the Poser lights and enjoy accurate simulated candlelight.